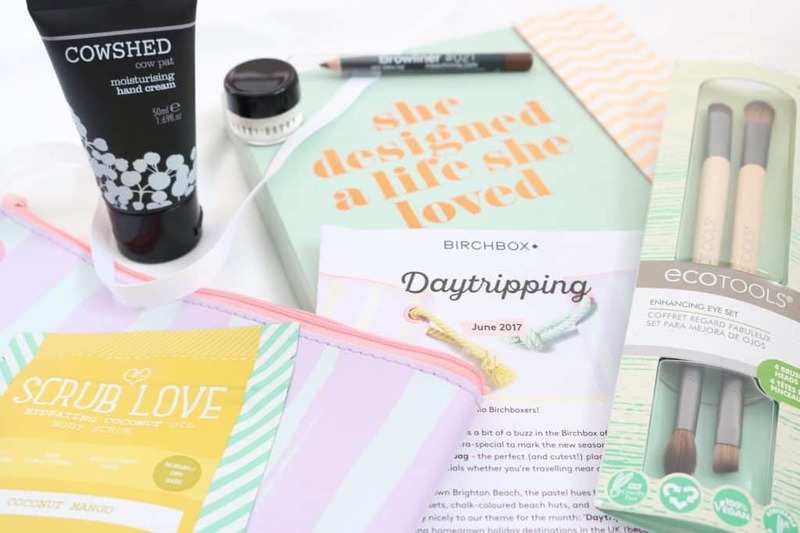 The June Birchbox has a brilliant, summery theme: Daytripping. We all dream of summery weekends away, or holidaying on gorgeous white sand… so this month has the essentials you need to pack to ensure your day trip goes faultlessly and effortlessly. Let’s celebrate the beautifully British places we can run away to of a weekend – we’re talking Brighton, Whitstable, Hastings or the beautiful Norfolk countryside. 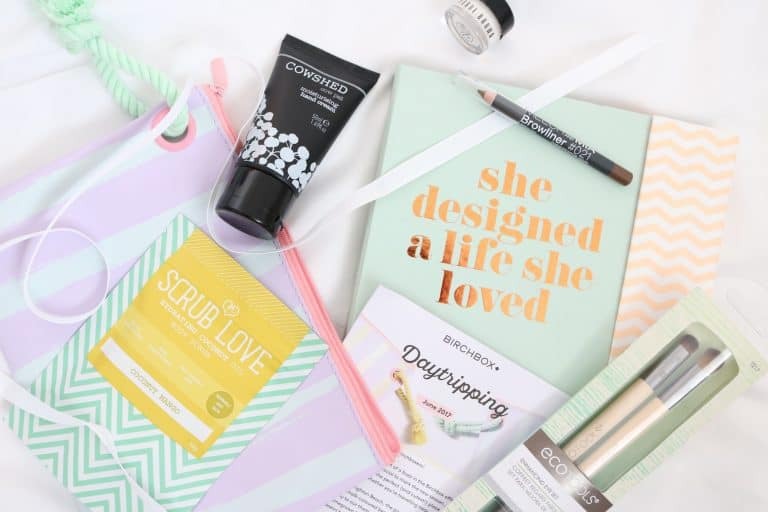 Instead of the usual box, this month’s goodies were packed in a pretty striped washbag, aptly named Birchbag, with wipe clean, beautiful pastel material to keep your makeup and toiletries safe and sound. You’re on the beach. You’ve washed your hands clean of sand and seawater. But your hands are left feeling gross – they’re dry, and the salt water has stripped all of your natural moisture from your hands. 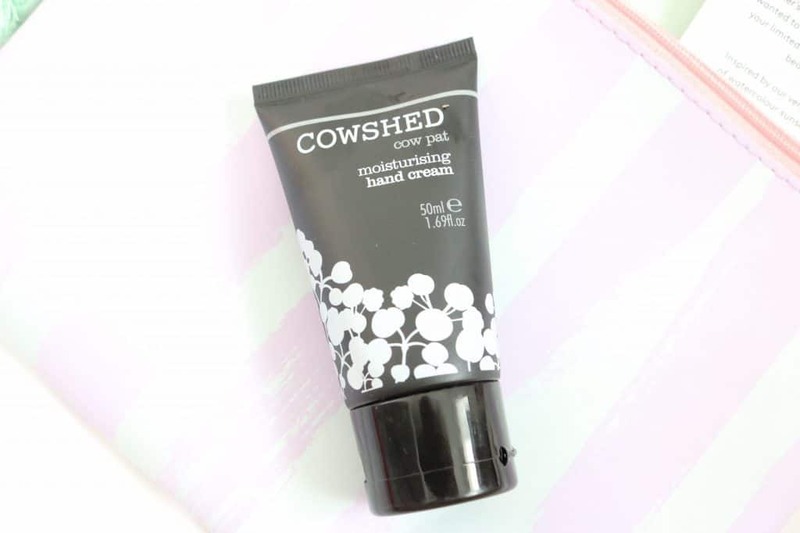 Birchbox has the answer this month – Cowshed Cow Pat Hand Cream. It smells absolutely divine (it definitely DOESN’T smell like cow pat!) and a little bit goes a long way. It’s uber moisturising, and an absolute essential for your handbag. Plus, the Cowshed packaging is oh so pretty… what more do you need than a product that performs, AND looks the part?! 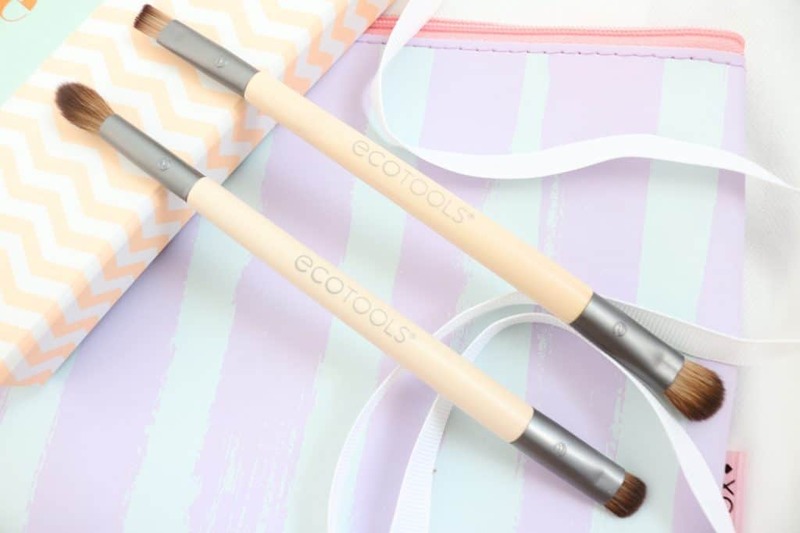 For me, the star of this month’s box just has to be the Ecotools Eye Enhancing Set. Now, I love a product that’s mutifunctional and versatile, and being a London commuter, anything that is great for travelling gets a thumbs up from me. So, when I saw these dual-ended eyeshadow brushes, I couldn’t have been happier. 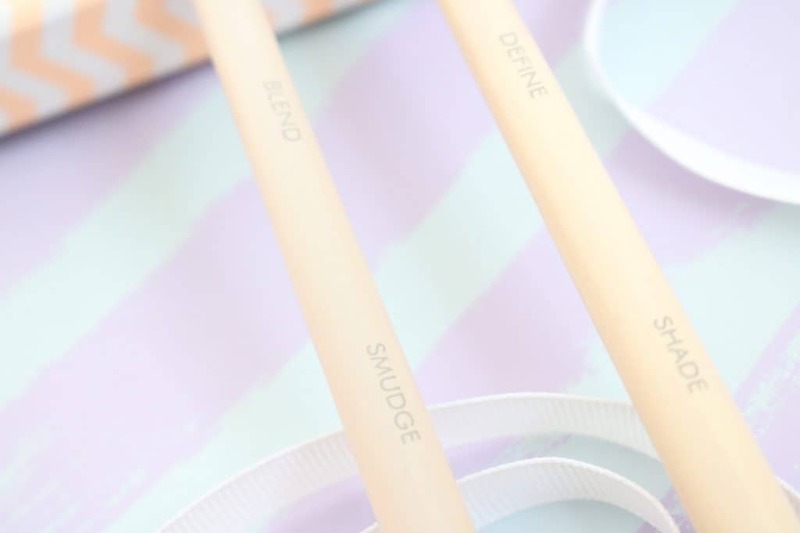 Each brush is labelled – making it easy to determine which brush is best used for which element of eyeshadow. Use the shade and define to apply your makeup and the blend and smudge to create a soft smokey eye – endless options with only two brushes! Now, I don’t know about you, but I have far too large a stash of eyebrow products seeing as I only have one pair of eyebrows. But, I do love trying out new products – I need to find a cult staple to rival my near empty ABH dipbrow pomade, *cry*. 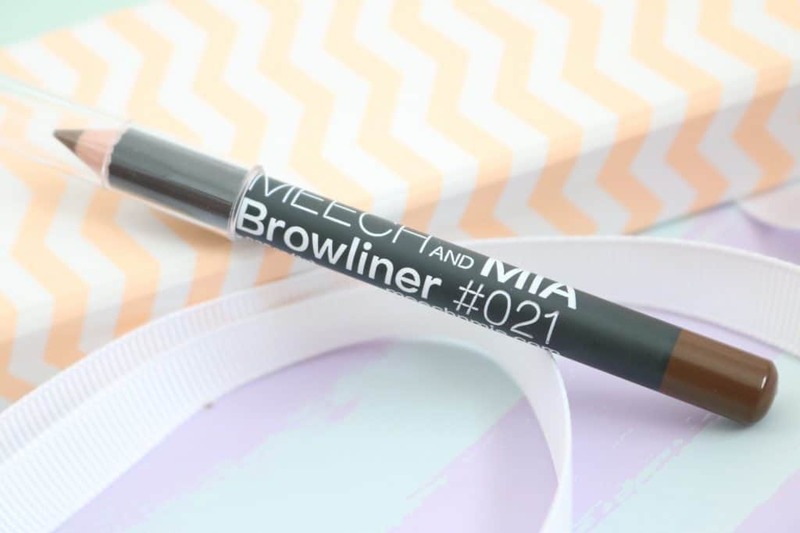 The MeechNMia Brow Liner in shade 021 is pretty decent – it’s got a soft formula, meaning you only need to apply light strokes to fill in your brow. The only thing that bugs me with pencil products is when they don’t come with sharpeners – I do wish it came with a sharpener! Birchbox really have thought of everything this month for our daytripping essentials. You’re exploring during the day and partying during the night… you’re definitely going to be left with tired under-eyes after your day trip! 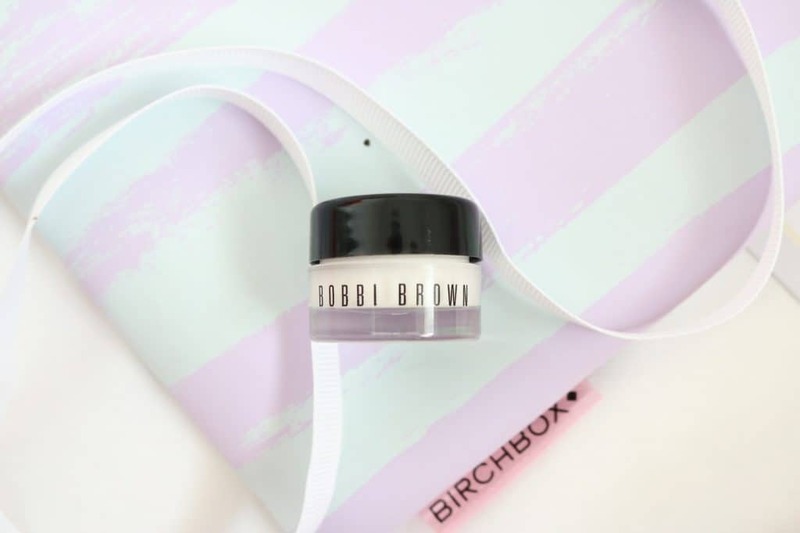 This Bobbi Brown Extra Eye Repair Cream melts into your under eye quickly, with the promise of brightening, smoothing and prepping your skin. Whilst I’m not the biggest fan of under-eye creams in the world (I’m just not sure how much they actually bring to your daily routine?) I must say that it created a good base for concealer. Forget your primer – you can just use this! 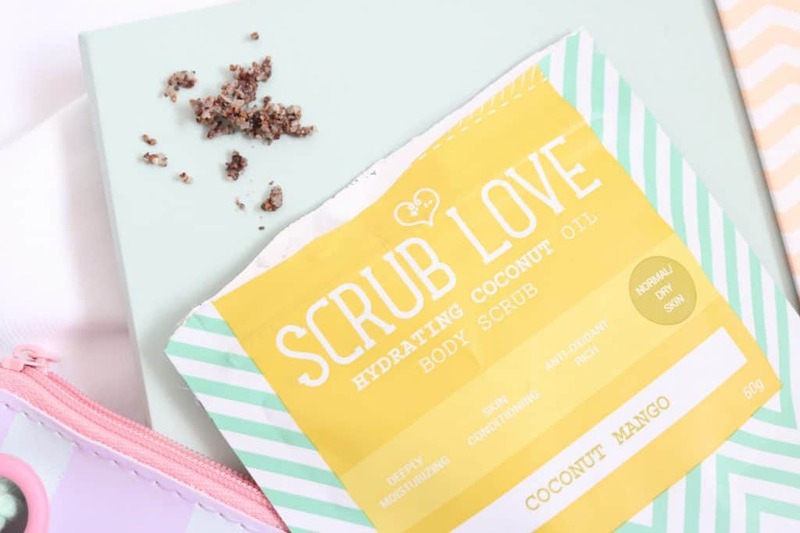 Scrub Love is a brand that I recently tried out in some other beauty boxes, but this Hydrating Coconut Oil Body Scrub formula is to die for. It’s an extremely gentle exfoliator, but the coconut oil ensures that your skin is left soft and silky. 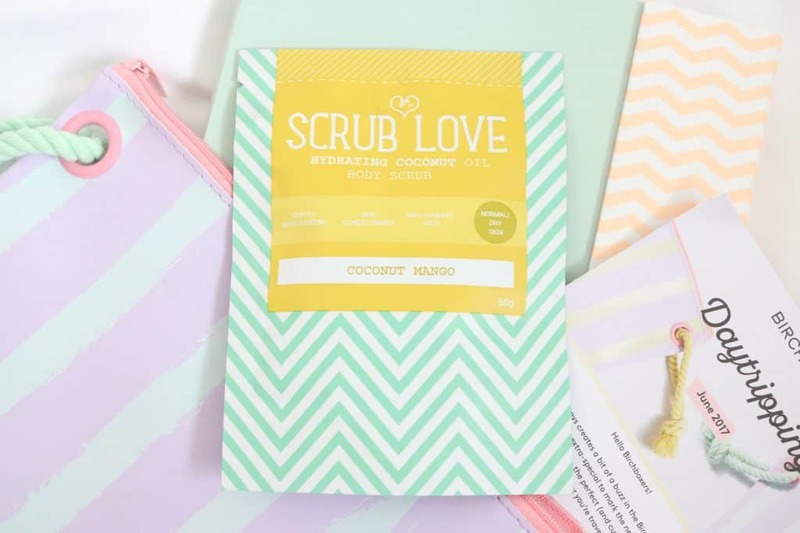 Normally after exfoliating, I’ll need to lather on lotion to ensure my skin doesn’t dry out, but I was surprised to find that after using this scrub, you could easily get away without moisturising… which leaves plenty of room in your daytripping bag for other goodies! Plus, the coconut mango scent is just beautiful. I’m in love! 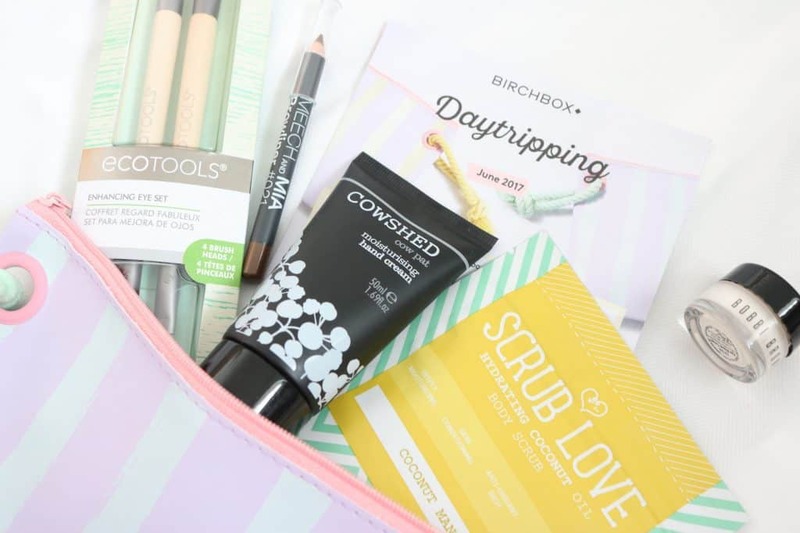 Another strong selection of goodies from Birchbox! I absolutely adore the 'Daytripping' theme, and I'm loving the versatile products.